Food waste is one the greatest challenges of our time, and fruits and vegetables are particularly problematic, as an estimated 52% of harvests go bad before reaching consumers. But one Malaysian company claims to have come up with a simple and effective solution to this problem – a tiny sticker that keeps fruits from spoiling for up to two weeks. You’ve probably seen stickers on fruits before, but not like the ones created by Stixfresh. Those common stickers are used solely to provide consumers with information about the grower and how the fruit was grown, but Stixfresh has a completely different purpose. It contains a special, all-natural formula that slows down the ripening process, keeping the fruit fresh and juicy for much longer. Stixfresh are made with 100% organic materials and contain a mixture of ionized Sodium Chloride and beeswax, which helps slow down the bacterial activity in the fruit, and thus delaying the ripening process. That sounds like a very basic explanation of how these stickers work, but the company insists that the stickers are completely safe, so safe in fact, that you can actually eat them. Stixfresh founder Zhafri Zainudin says that he came up with the idea for the stickers four years ago, after visiting a friend who operated a fruit stall. The man complained about losing money every day due to spoiled fruits, but seemed resigned, as he knew that there was no way to stop nature from taking its course. However, the Malaysian entrepreneur had another idea. “It got me to thinking. Maybe I couldn’t stop nature, but could I slow it down?” Zainudin writes on his company’s website. The Malaysian businessman partnered with Selangor university Universiti Putra Malaysia, research institutions and agencies such as Mardi and Standard and Industrial Research Institute of Malaysia, and more recently with Bogor University and University of South Australia, to develop and test his stickers. It took him three years to perfect the manufacturing process and efficacy of his innovative product. 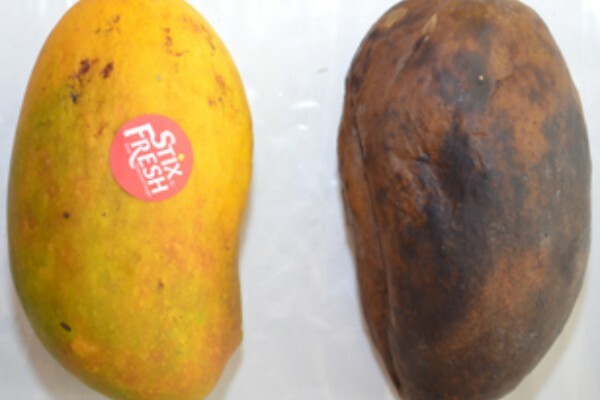 Originally, Stixfresh stickers were only used to prolong the shelf-life of mangos, but the company later realized that they also worked on other fruits of approximately the same size and with similar texture, like avocadoes, papaya, dragon fruit, star fruit, apples, and pears. 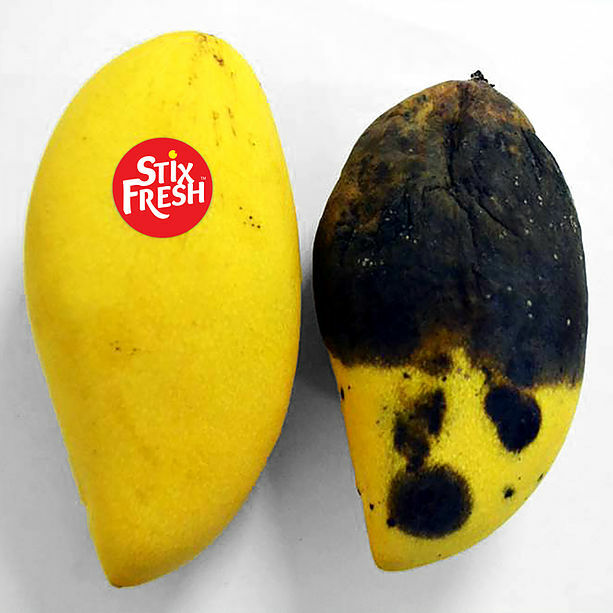 According to Stixfresh, their revolutionary stickers not only slow down the ripening process, but also inhibit the development of molds on fruits. The Malaysian company claims that there are many products that promise to preserve the freshness of fruits for longer, but their stickers are the only solution that uses 100% natural ingredients.